Our Story – Nonlinear Dynamics Inc.
Modern civilization tends to take the gift of electric power for granted. This state of affairs has persisted since 1888, when Dr. Nikola Tesla first introduced the benefits of Alternating Current to a power-hungry world. However, much has changed during the past one hundred and twenty seven years. Our power grids are nearing obsolescence, and the infrastructure of which they are composed is becoming antiquated. Surprisingly, very little meaningful work is being done in this direction. Instead, tiny improvements are being explored, which shall have little or no effect upon the big picture. Presently, we are being forced to abandon the incandescent light bulb, in favor of the so called “Watt Miser”flourescent lamp, and great sums of money are being invested in solar and wind generation schemes, when it is well known that such implementations can barely cover three percent of the Nation’s electrical power needs; never mind the entire world. Quite truthfully, the reason for these intended and superficial improvements pivots upon the unspoken belief that “All that can be done, has been done.” This credo, in turn, has its origins in the stringent belief that our present mode of electrical efficiency is greatly curtailed by the over-powering and unavoidable dictates propagated by the Laws of Energy Conservation. However, nothing could be further from the truth. While it is very true, that energy can neither be created nor destroyed, but merely transformed from one species to another, it is also absolutely true that no limit has ever been placed upon the number of times that energy can be transformed, nor upon the direction of “Energy Flow,” associated with such transformations. Accordingly, in 1899 and early 1900, Tesla announced the discovery of his magnifying transmitter in his research facility in Colorado Springs, and suggested that this invention would revolutionize both power generation technology and the means by which electric power is transmitted. However, because of his total distrust of the “System,” Tesla never disclosed the basic theory upon which his “Power Magnification” principle was based. These facts notwithstanding, it has recently been demonstrated that power magnification can indeed be achieved by encouraging a phenomenon known as Power Oscillation; a principle completely distinct from current oscillation. There are 3,200 utilities that make up the U.S. electrical grid, thus comprising the largest machine in the world. These power companies sell $400 billion worth of electricity a year, most of which is derived from the consumption of fossil fuels in centralized generating stations and then distributed over 2.7 million miles of high tension power lines. In about the same time it has taken cell phones to supplant land lines in most U.S. homes, the grid will become increasingly irrelevant as customers move toward decentralized power sources. Rooftop solar systems, in particular, are converting tens of thousands of businesses and households into independent power producers. Such distributed generation means are certain to grow as equipment costs decrease, and kilowatt costs continue to rise. An unusually frank report by the Edison Electric Institute ( EEI ), warned members that distributed generation and companion factors have essentially put them in the same position as airlines and the telecommunication industry of the late 1970’s. U.S. carriers that were in existence prior to 1978 all faced bankruptcy. Utilities will continue to serve the elderly and the less fortunate, but the rest of the population shall move on to new, less expensive, emerging power technologies. Solar users drain revenue from utilities while continuing to use utility transmission lines for pack-up systems, or as a mechanism allowing them to sell their power back to grid-based companies. These trends will eventually be challenged and curtailed by all utilities as concern for survival increases. However, as the bolts are tightened, in an attempt to save these businesses, the opposite effect shall be achieved, and many more customers will be lost. The solar and distributed generation push is being speeded up by a parallel revolution in microgrid technology. These are computer- controlled systems that let consumers do on a small scale what only a Consolidated Edison or Pacific Gas & Electric could do before: seamlessly manage and blend different power sources without interruption. 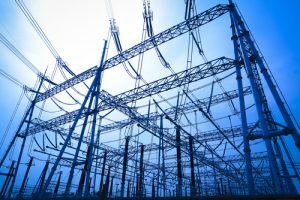 Although Microgrids have long been in use for the supervision of emergency backup power systems, this technology is now expanding into the field of decentralized power through the efforts of independent research companies such as Flyback Energy, Inc. The solar business is now expanding from such humble niches as privately owned stores and individual residences to office buildings and athletic stadiums which require anywhere from 100 kilowatts to 10 megawatts of electric power. Consider the facilities at Lincoln Financial Field, home of the Philadelphia Eagles. NRG installed a $30 million system consisting of more than 11,000 solar panels and 14 mini wind turbines, which together, can supply about one third of the stadium’s power requirements. The grid is continuing to shrink; U.S. power usage actually peaked in 2007. So, as distributed generation captures an increasing large share of utility-generated power, there won’t be much need for new large – scale transmission lines, except to gather and distribute power from remote wind farms. This is another ramification associated with a declining grid. Natural gas is already displacing coal, and its going to obliterate most nuclear plants as well. A hand full of nukes may remain to assist with the maintenance of grid base loads. Some Power Companies are adapting. Duke Power, the largest utility in the U.S., has built 1600 megawatts of wind generation and 100 megawatts of Solar collectors since entering the renewable energy business in 2007. Southern Co. of Atlanta, operator of some of the most emission-heavy coal plants in the nation, has joined with billionaire Ted Turner to invest in five solar projects that will make it one of the largest Solar utility owners in the U.S.